Modernity and simplicity are perfect keywords to describe this template. Prevailing colors are black and white, which makes the layout elegant. Slider demonstrates great interior design ideas. Main menu is replaced by drop down categories. More navigation links can be found in the footer. 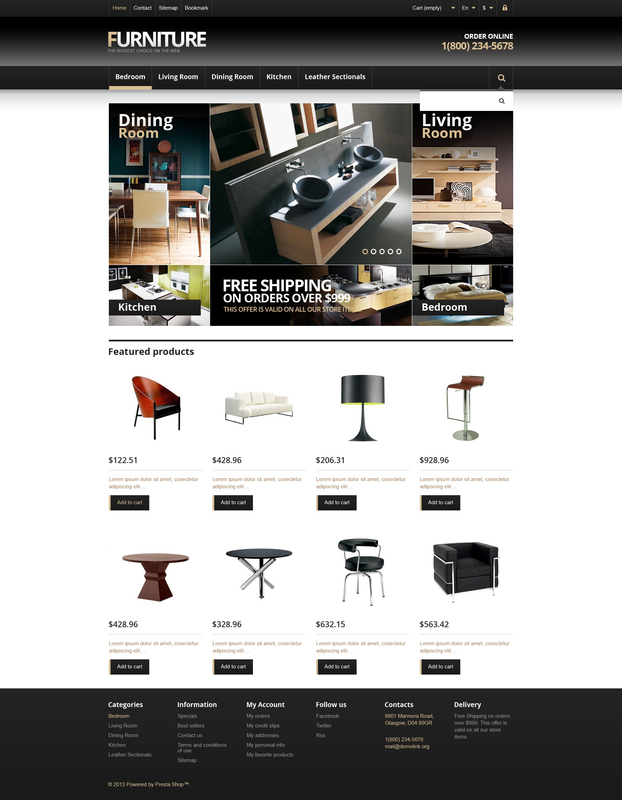 Featured products stand in four columns and are supplied with prices, descriptions and call-to-action buttons.